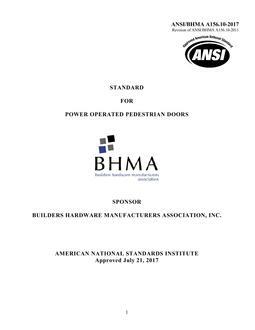 1.1 Scope: Requirements in this Standard apply to power assist doors, low energy power operated doors or low energy power open doors for pedestrian use, and some small vehicular use and not provided for in ANSI/BHMA A156.10 for Power Operated Pedestrian Doors. Included are provisions intended to reduce the chance of user injury or entrapment. 1.1.1 This Standard does not attempt to assess any factors that exist with respect to custom design installations which are not required to meet the requirements of this Standard. 1.2 Required dimensions are expressed in US units first and the SI (metric) equivalents given in parentheses are approximate. All values which do not carry specific tolerances or are not marked maximum or minimum shall have the following tolerances: Linear dimensions shall be ? 1/16 in (1.6 mm). Pounds or pound force shall be ? 5%. Angular measurements shall be ? 4 degrees. Voltage measurements shall be ? 5 %. Temperature measurements shall be ? 4 degrees F (?2 degrees C). 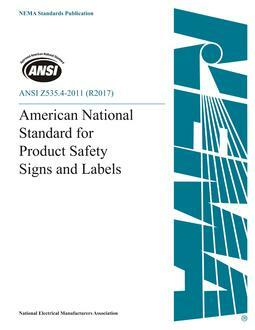 1.3 Definitions of terms used but not found in this Standard are in ANSI/BHMA A156.10 for Power Operated Pedestrian Doors, available at www.buildershardwre.com and the American National Standards Institute, Inc., 11 West 42nd Street, New York, NY 10036. 1.4 All references to time delay, opening speed and forces, in this standard, refer to the operator in the power mode as opposed to the manual mode.